In the cinematic and literary genres, especially in the last decade, an impressive canon of creative nonfiction works has expanded that engages and motivates its audience to advocate for the cause of nature conservation and preservation more effectively than platforms that craft themes and messages primarily on data, empiricism and scientific findings. A substantial, well-informed story told authentically, credibly and sincerely can enliven minds of all ages. Many of the most astute documentary filmmakers have found that sweet spot for impactful story-telling. 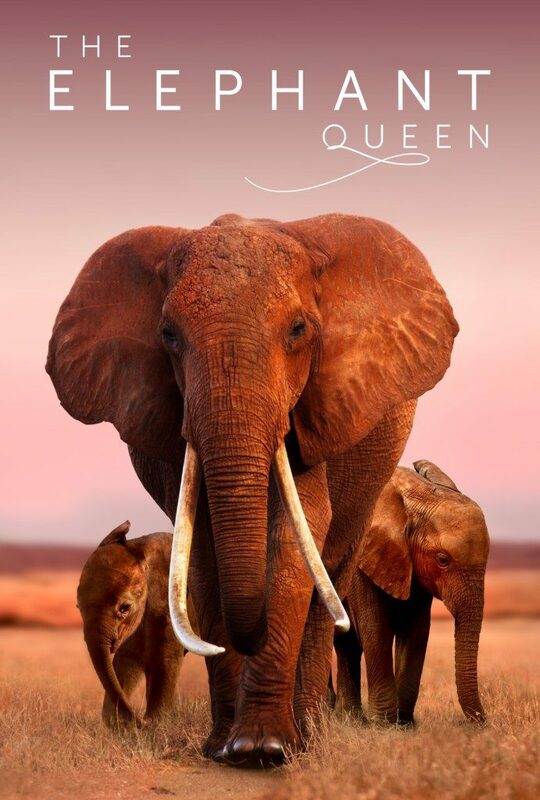 The Elephant Queen, directed by Emmy and Peabody Award-winning documentarians Victoria Stone and Mark Deeble, achieves the gold standard in wildlife films. The extraordinary imagery, especially in the many scenes shot at toenail height, reveals the breadth of biodiversity in species that parallels the expansive kingdom in the Tsavo region of Kenya where Athena, the 50-year-old elephant, acts as matriarch and protector of her family. The film is part of the Kids program, curated by Utah Film Center’s Patrick Hubley for the 2019 Sundance Film Festival. Stone and Deeble lived for four years in Kenya to follow Athena, her fellow elephants and countless other animals, especially the smallest of creatures including foam frogs, dung beetles and other insects. 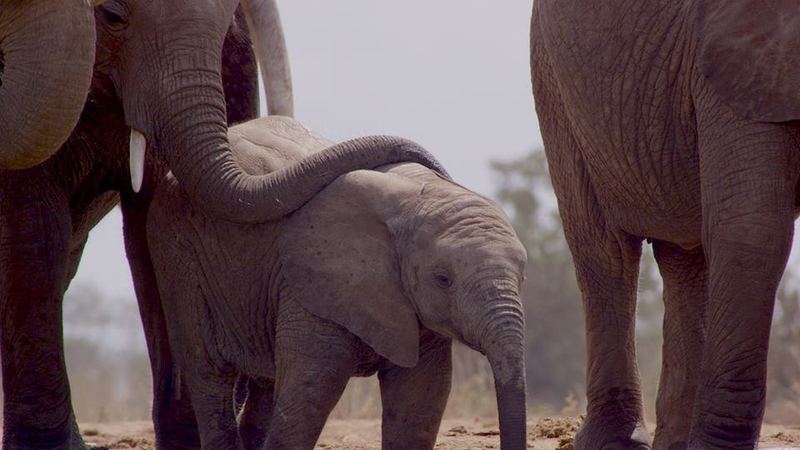 The film opens with a spectacular rainstorm that fills the waterhole that is so vital to Athena and her family. The unusually long dry season that ensues means Athena and her family will have to travel more than 100 miles to find food and water at a refuge with the hope that they can return soon enough to Athena’s kingdom. 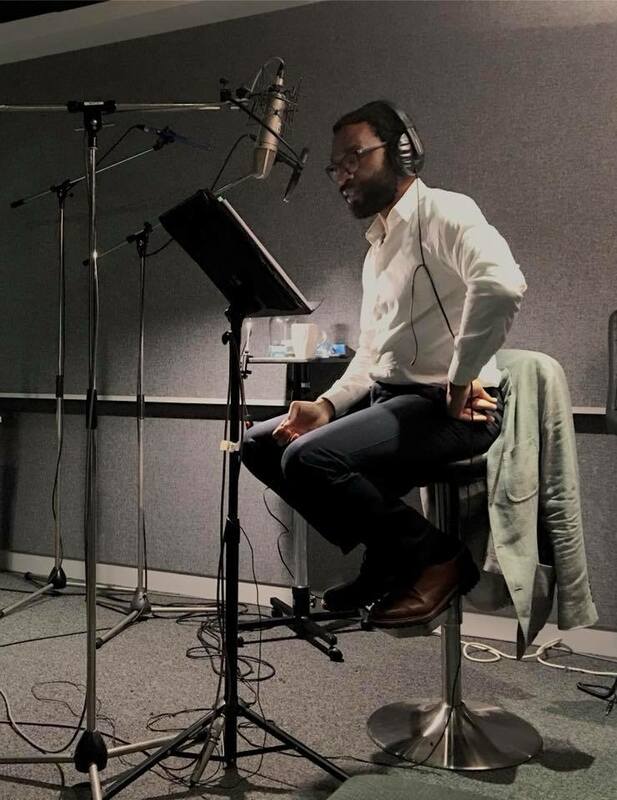 The only human presence in the film comes in the voiceover narration by Academy Award-nominee Chiwetel Ejiofor (12 Years A Slave, Doctor Strange and Maleficent 2 and who also is making his directorial debut in the Sundance premiere The Boy Who Harnessed The Wind). Ejiofor’s narration serves to realize fully the whole of the species represented in the film as sentient beings. This includes a dung beetle and his admirable task of rolling a ball of elephant manure much larger than him, the youngest elephants (Wei Wei and Mimi) and the persistently tardy Steven, a young Egyptian goose, who always manages to lag behind the rest of his family flock. There is the prominent presence of Satao, a magnificently regal and giant elephant. And, audience members laughed heartily at the scene of a male tortoise finally getting his sexual conquest. The narration is exclusively focused on this aspect. There are no mentions of climate change, the threats and risks of poaching or the overriding concerns about ensuring the numbers of elephants are not depleted further. Nevertheless, the film rings with the authoritative knowledge in how the story is presented, where the evidence does not need to be spoken. If there are facts to be mentioned they have been inserted at precisely the right moment to amplify the scene and this is done sparingly, and appropriately so. When Athena decides to bring her family back to the kingdom, we hear Ejiofor mention that elephants can sense rain from long distances, certainly the more than 100 miles they traveled to reach the dry-season refuge. While the film is part of the Sundance Kids slate, there is no doubt that its appeal stretches across the lifespan demographic of ages. It might be a safe bet to believe that The Elephant Queen could follow the steps of Science Fair, a Kids film that won Sundance’s audience favorite award. As Stone says in an interview with The Utah Review, she and Deeble wanted to set the film as a “springboard for reflection.” She adds that, after watching the film, young people can quickly Google to learn more about the elephants and the region of Athena’s kingdom. It can motivate people to join wildlife conservancy groups and support them through donations and volunteer work. Tourism also is an option but the sort that respects fully that the elephants’ home should not be disrupted or disturbed. Deeble adds that, “we did not want to present the context of conservation necessarily as a cerebral matter but to put people directly in the herd so they can fall in love with the elephants.” The best compact description of The Elephant Queen perhaps is that it is a cinematic safari where viewers can get closer to the elephants than they might have imagined possible. Tsavo has been a critical region in the efforts to protect elephants. Kenya banned legal trophy hunting in 1977 and prior to then, many of the largest elephant tusks were taken from elephants in Tsavo. In the late 1960s, there were 35,000 elephants in Tsavo but a subsequent drought of exceptional proportions and rampant poaching decimated the population so that by the late 1980s, there were just 6,200 elephants in the region. The numbers have recovered in recent decades, including one count that showed nearly 13,000, but still nowhere near the numbers of 50 years ago. The most effective way of conducting a census is by aerial means, and recent counts have been coordinated with the U.S. AID, Kenya Wildlife Service and the International Fund for Animal Welfare. Yet, while the numbers are hopeful indicators there is no acceptable reason that conservation efforts should be relaxed. The threats of poaching, exploitation by human presence, a wildlife habitat vulnerable to destruction and climate change always remain. The film’s creative process encompassed 20 years. 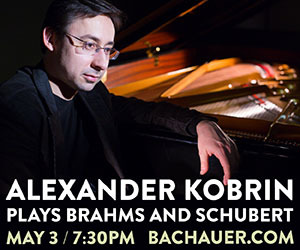 As spectacular as the imagery is, the sound design is equally notable. Alex Heffes, whose recent credits include The Last King of Scotland, Mandela: Long Walk to Freedom and The Take, composed the score. But, there also are many instances of human silence in the film where the most enthralling sensations are natural sounds. The chorus of species, the sound of the heavy downpour that breaks the dry season, the sounds distinguishing Athena’s kingdom and the dry-season refuge. It is surprising to hear the versatile range of elephant sounds as well – the squeals of a young elephant, the more familiar trumpet calls, or even the rumbling noise of the elephants heard from toenail height. 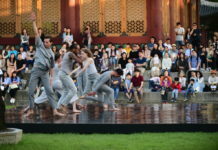 The film received its premiere last year at the Toronto International Film Festical as well as the British Film Institute’s London Film Festival. Apple acquired the film as its first major cinematic property for distribution. Remaining Sundance screenings for the film will be Jan. 30 at 6:30 p.n. at the Ray Theatre in Park City and Feb. 2 at 12:30 p.m. in Park City’s Redstone Cinema.